Anthony Mackie stars in 2012’s Abraham Lincoln: Vampire Hunter, The Gangster Squad and Bolden!. Captain America: The Winter Soldier will be released April 4, 2014. I am mixed about the ‘Black’ Falcon and how they are going to pull him off as a critical character when there has been a struggle with this even in the comics. Falcon’s main strength is FLIGHT. This is unlike The Black Panther’s strength which is intellect and strategic genius. 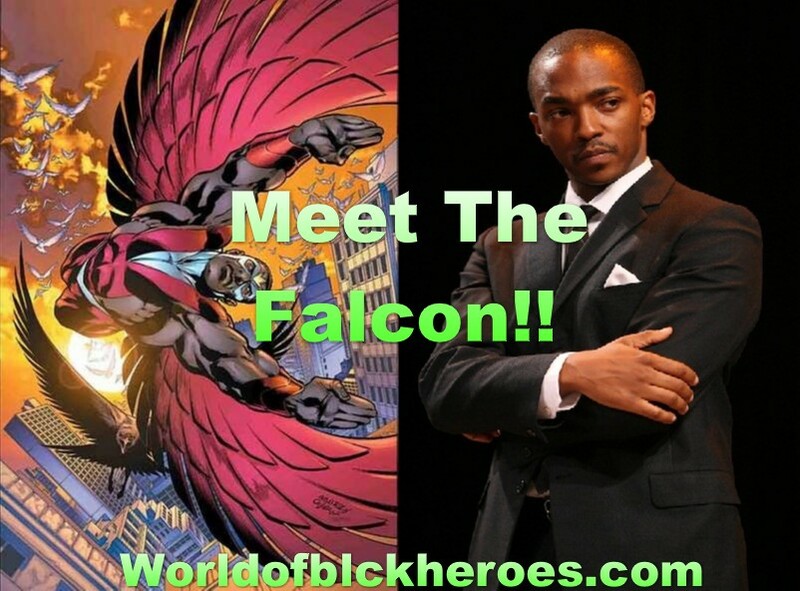 Falcon whiines about being a sidekick when, in all actuality, that’s what he is and what he is designed to be. Cap trained him and the Black Panther gave him his wings. The main thing that he brought to the table was his care for his community and the ‘questionable’ mutant ability to see through his bird’s eyes. I like the Falcon, but in a world with SOOOOO many flying heroes, I can’t see him as a value-added product or a venerable icon… UNLESS, the writer’s pull something off in this movie that redefines him as a character. Which I am hoping for! !